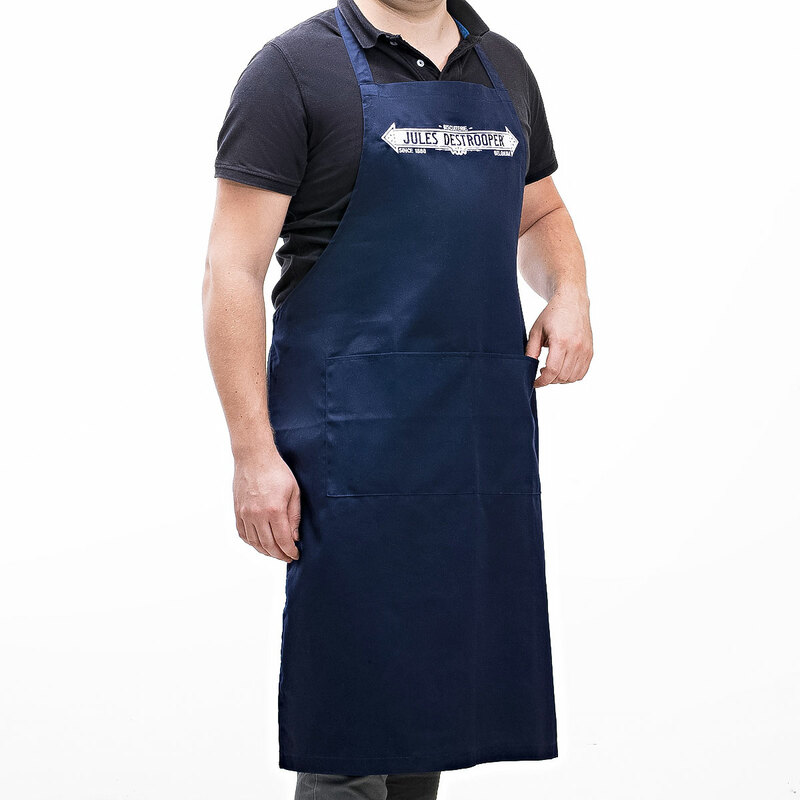 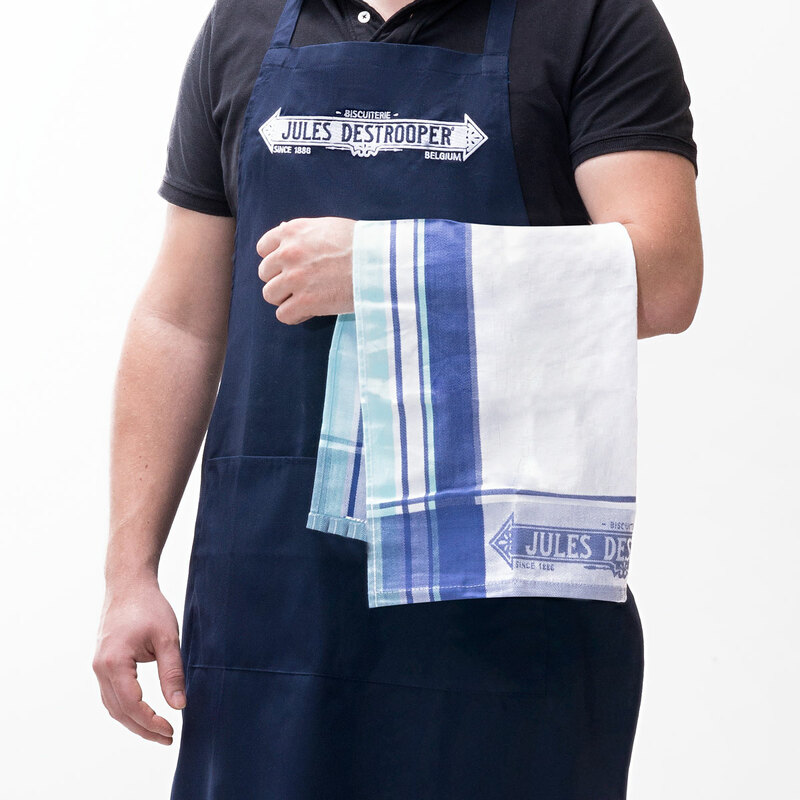 The perfect gift for all master chefs! 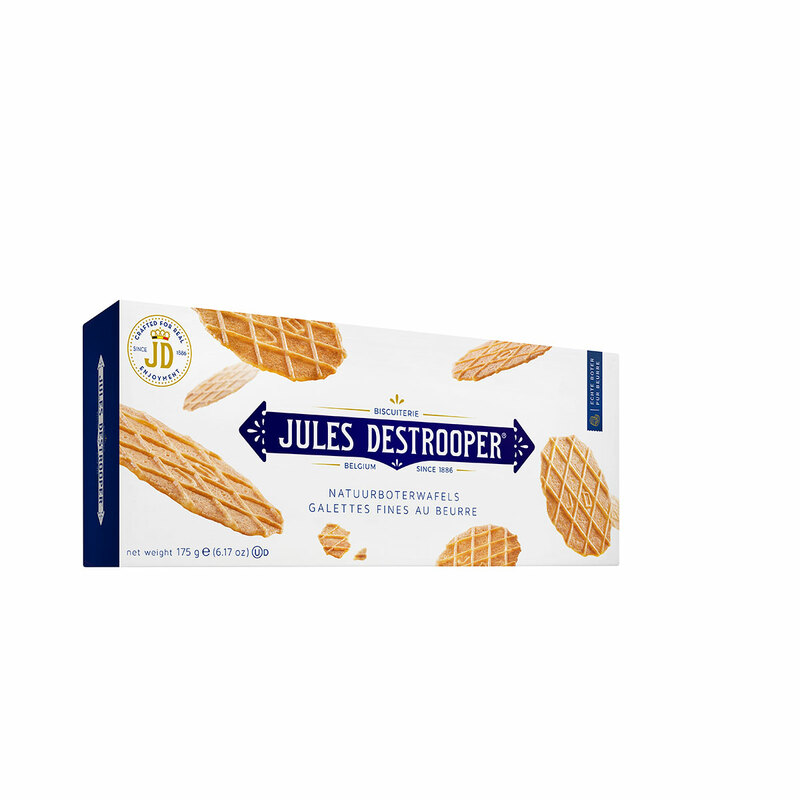 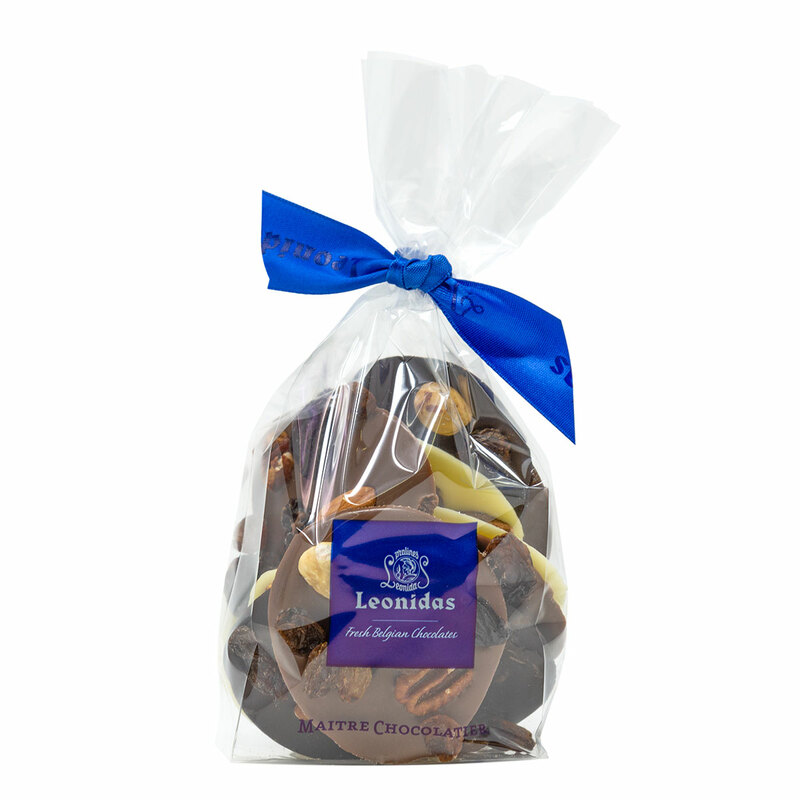 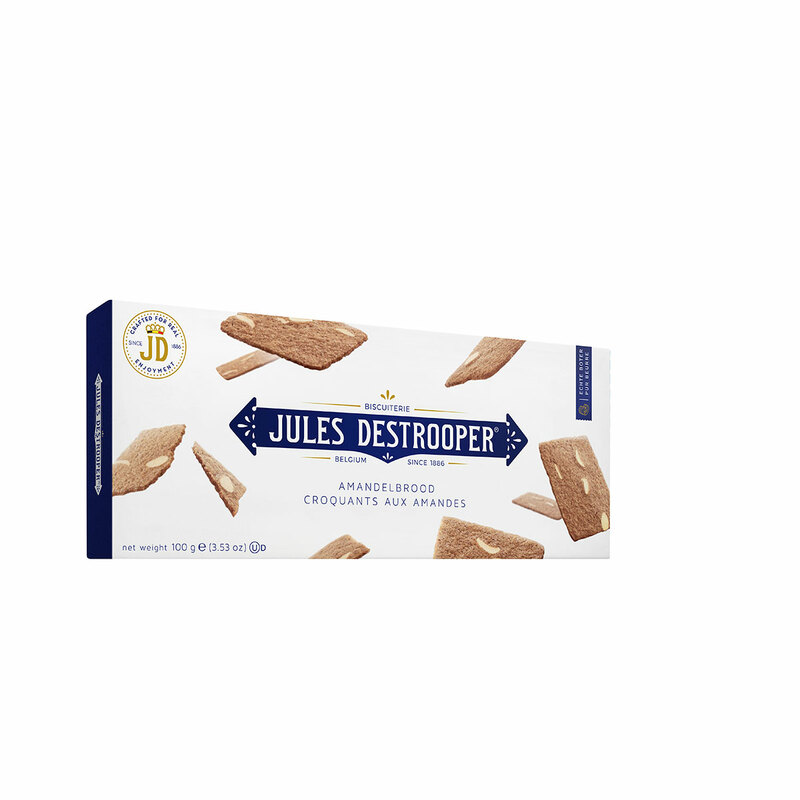 This Cooking with Jules Destrooper gift set offers a delicious assortment of their best European cookies, along with a handsome apron and signature kitchen towel. 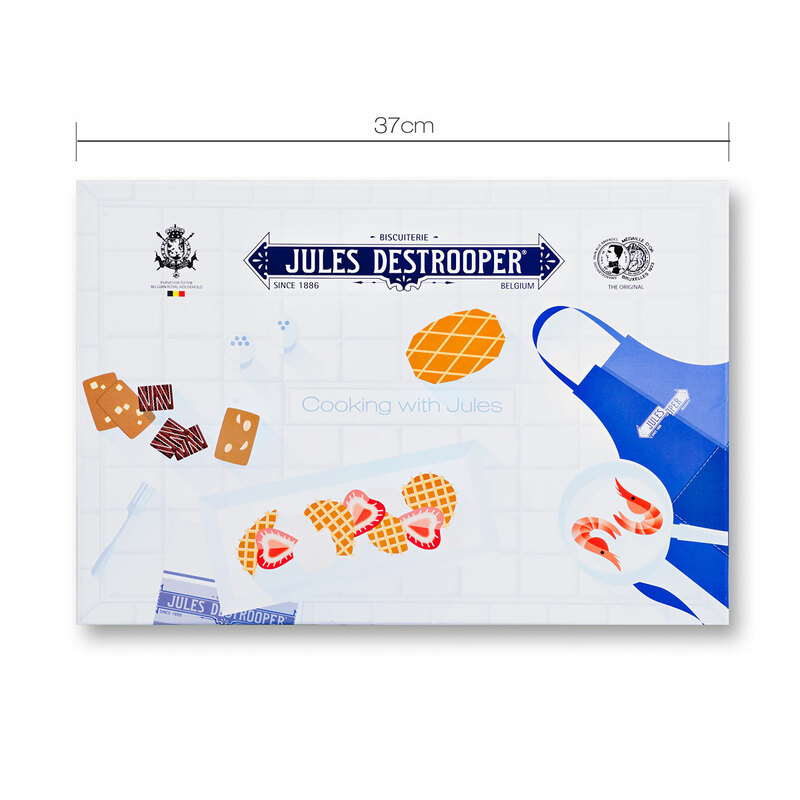 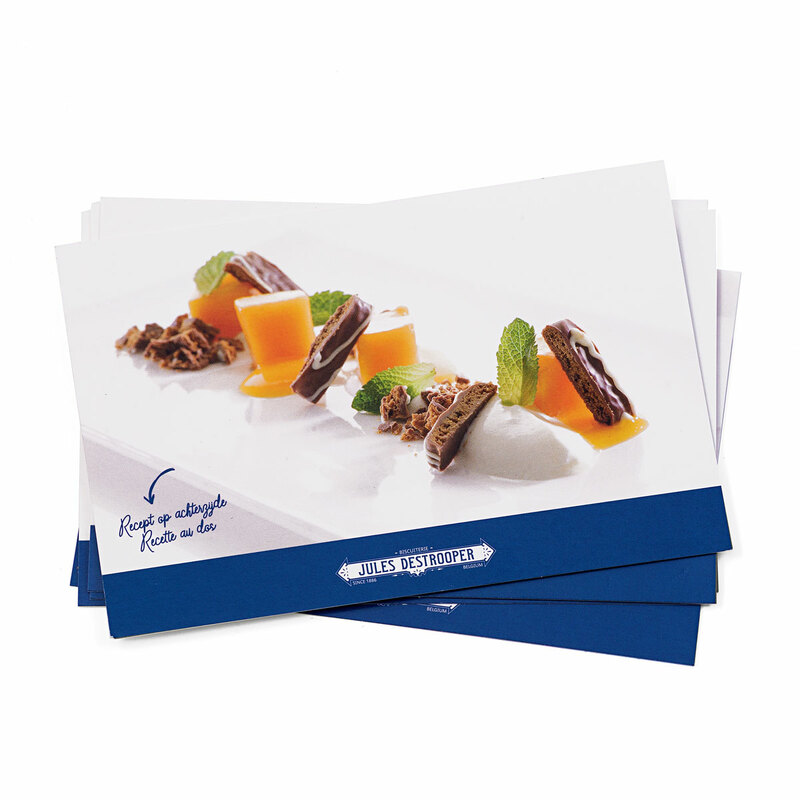 A set of 5 recipe cards (available in French and Dutch) provides inspiration for exciting new ways to enjoy your favorite Destrooper cookies. 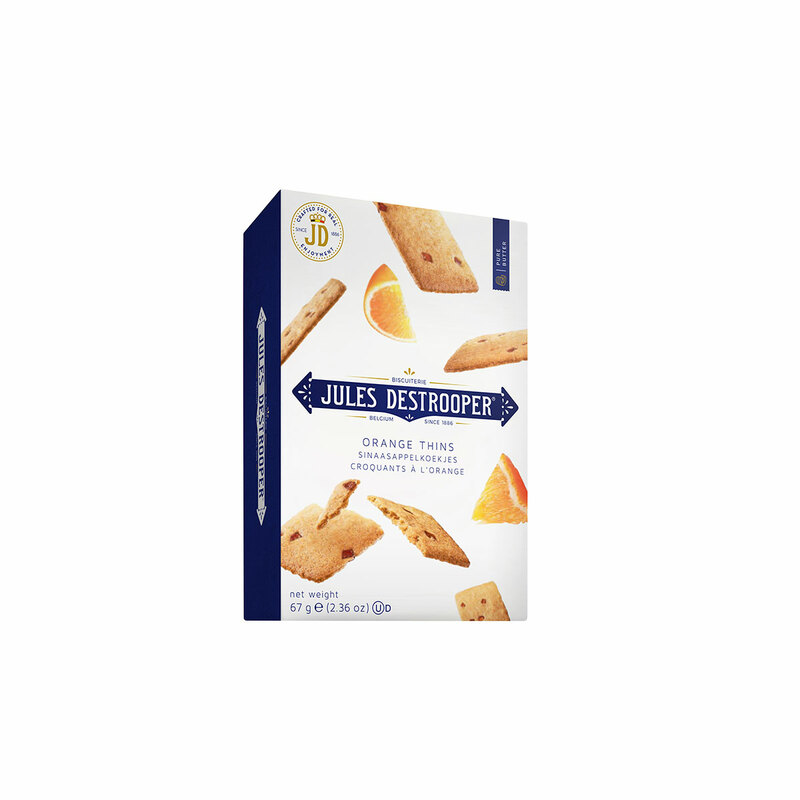 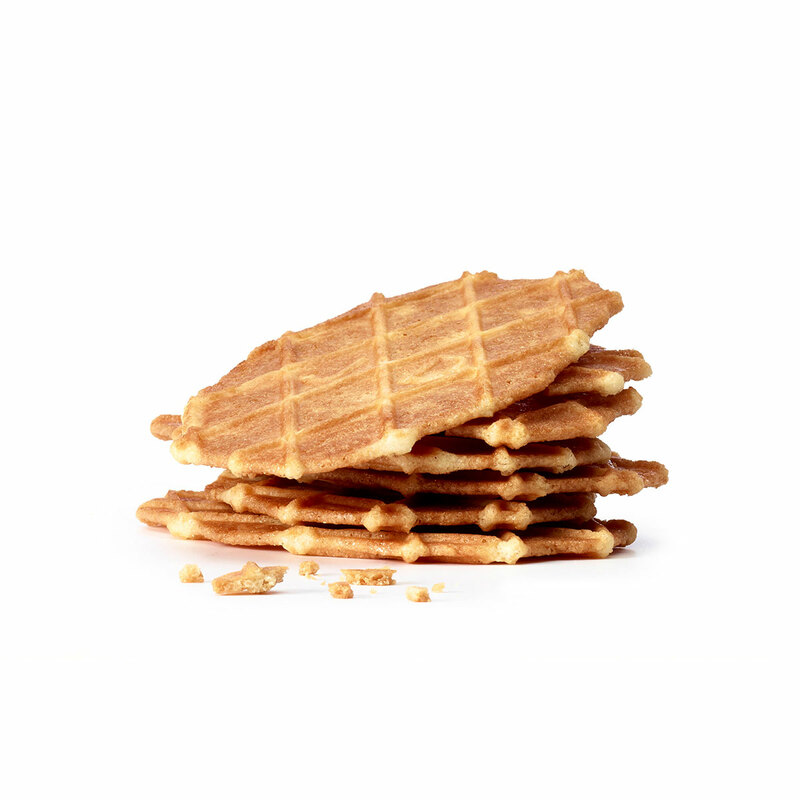 The selection of biscuits is absolutely delicious: lace biscuits, apple thins, cinnamon biscuits with chocolate, butter crisps, butter waffles, orange thins, and almond thins. 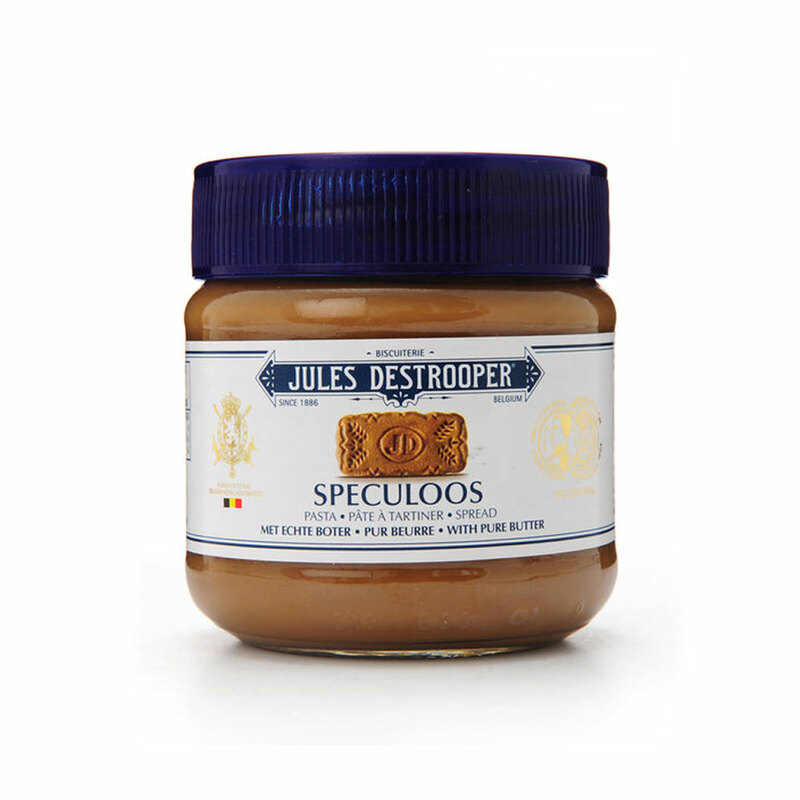 Destrooper's caramelized biscuit spread is wonderful as an ice cream topping, drizzled over fruit, or spread on toast. 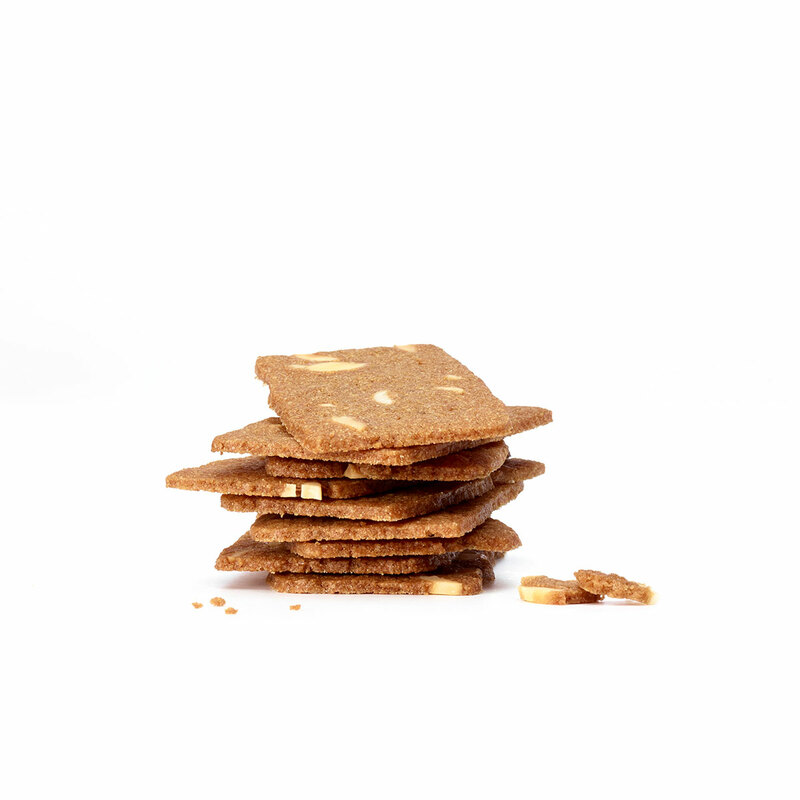 It also makes a tempting addition to recipes. 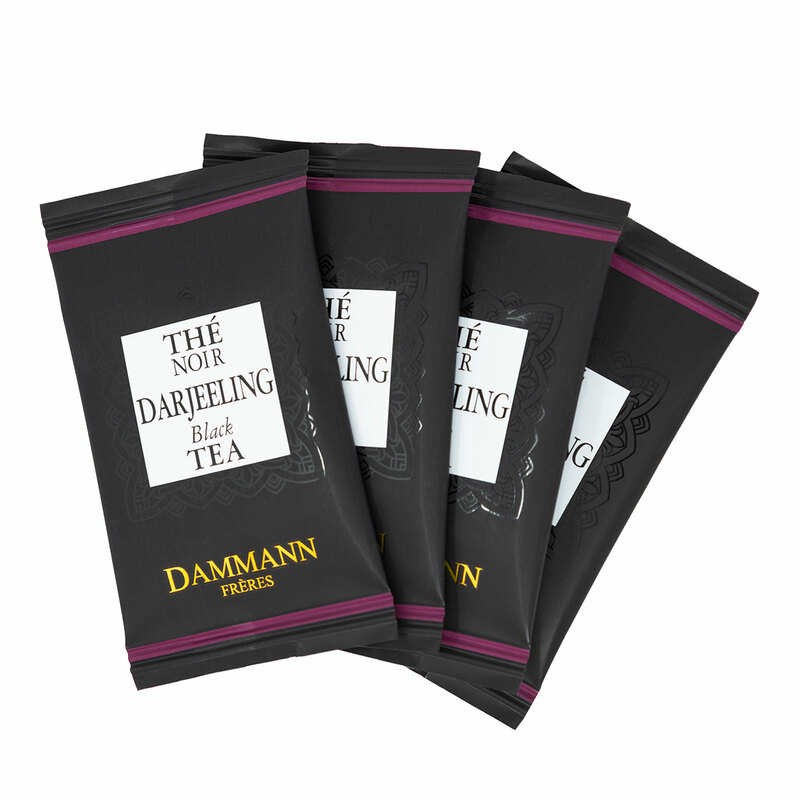 Enjoy a steaming cup of tea with the Dammaan Darjeeling black tea packets. 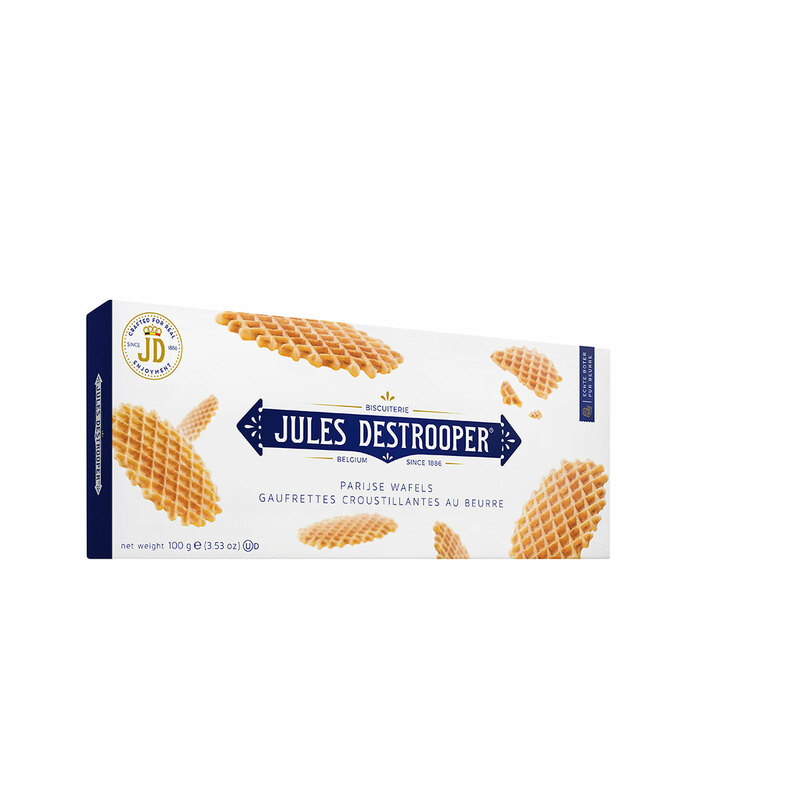 A fresh mango rounds out this delightful Destrooper gift set.